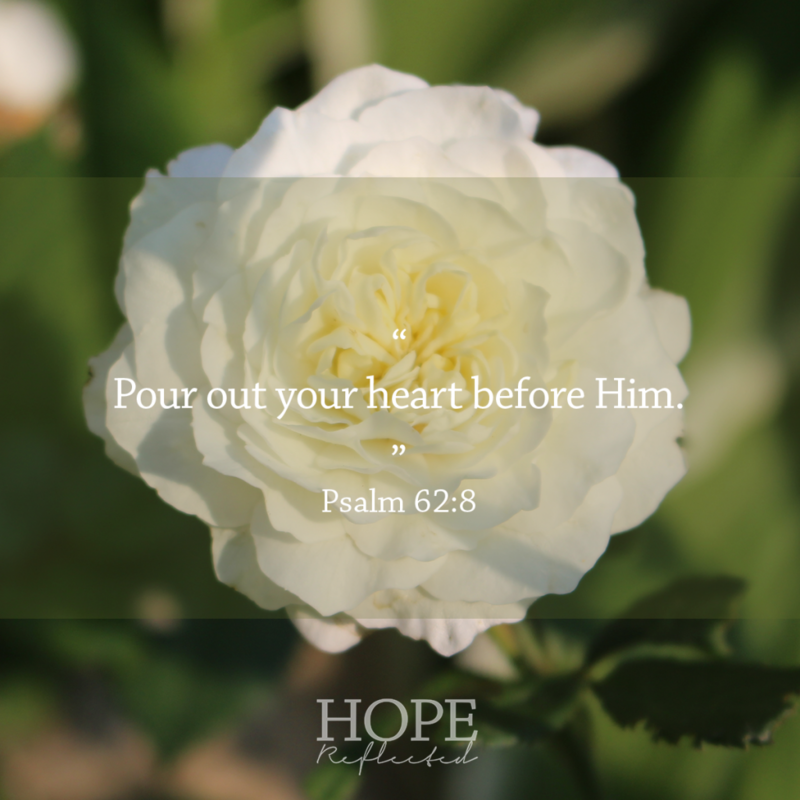 You can learn from the Psalms how to get your heart right with God. In 2017, my Dad had a heart attack. To say the news came as a shock would be a complete understatement. My Dad, the foundation of our family, the rock, having a heart attack? It just seemed so unlikely. He was so fit, so healthy, at least so we thought. In more recent days, a friend of Wes’s and mine – and many others in the community – had a heart attack. Again, someone so strong, so energized, so full of life, seemed like an unlikely candidate for a heart attack. That’s the mystery of the heart. In terms of health, we can look at someone else and think they’re fit, they eat – relatively – healthy, they exercise, they could never have a heart attack! Quite often however, the part that we can’t see, the heart, tells a different story. It’s the same with our spiritual lives. So frequently we look at other Christians and think they’ve got it all together. They’ve got the gift of teaching, of praying, of encouraging – they must have it all together! Sometimes though, we might be surprised. After all, only God can see your heart. Only God knows the condition of your heart. Only He truly knows the bitterness, the envy, the resentment, the jealousy, the dislike, hey, even the hatred, that you carry around. For all intents and purposes, on the outside, you may look like the model Christian. You’re sitting in church every Sunday, you’re serving others in the community, and you’re saying all the right things. Regardless of the surface or how things may appear, God knows your heart. He knows when you’re coming from a sincere place, and He knows when you’re acting or saying things to put others in a bad light. God knows when your heart is broken and crying out, even on those days when you’re pretending you’ve got it all together. He knows when you’re longing for companionship and you feel completely alone. God knows your heart. And that’s what matters. It doesn’t matter how you look to others or what they think about you. What matters is that God knows your heart, and that your heart is right with Him. Here are some relevant Bible verses about the heart to encourage and to instruct you in how to get your heart right with God. Confess your sin. “Create in me a clean heart, O God, and renew a steadfast spirit within me.” (Psalm 51:10) You lied. You stole. Whatever you may have done, confess it to God. Ask Him to create a clean heart in you. David, who we read in the Bible was a man after God’s own heart, made many mistakes (we call it sin). Yet, he asked God to create in him a clean heart, and to renew his spirit (Psalm 51:10). To get your heart right with God, start with confessing your sin. Be honest with God. “Examine me, O LORD, and prove me; try my mind and my heart.” (Psalm 26:2) There have been many times when I’ve caught myself praying one thing but thinking another. It can be hard sometimes to be honest with ourselves and with God, can’t it?! And I have no idea what I’m thinking: As if I think that God of the entire universe isn’t going to know what’s truly in the bottom of my heart! To get your heart right with God, you’ve got to get right down to it. Guess what?! I don’t want to pray for that person who hurt me! I don’t like them! Tell God about it, because guess what? He already knows! Be honest with God. Actively pursue a relationship with God. “With my whole heart I have sought You; Oh, let me not wander from your commandments!” (Psalm 119:10) We’re told in the book of James to draw near to God and He will draw near to us. (James 4:8). That verse continues with these words: “Cleanse your hands, you sinners, and purify your hearts, you double-minded.” When you’re actively pursuing a relationship with God – praying, getting into and memorizing God’s Word, going to church – when you earnestly seek Him, you’ll find Him. And more importantly, He will find you. Store up His word in your heart! (Psalm 119:11) and He will fill your heart. Originally published as “Matters of the heart.” Minto Express, Independent Plus, Arthur Enterprise-News, Mount Forest Confederate. January 25, 2018: 6. Print. Web.